Mike Czestochowski is recognized as a leading specialist in the disposition of development land within the Greater Toronto Area and Greater Golden Horseshoe Area. He is the founding member of CBRE’s Land Services Group with over 30 years of real estate experience. Mike has been consistently ranked as one of the Top 10 Sales Professionals for CBRE’s Toronto North Office since 1995. He is one of CBRE’s Top 10 Canadian Sales Professionals and was ranked #1 in Land Sales across Canada in 2017. 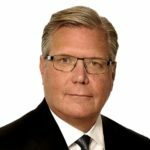 He is an industry leader with substantial experience in advisory and transaction services with unsurpassed market knowledge, strong client focus, and commitment to integrity. Mike has also been involved with many high-profile transactions, including government mandates and clients from publicly traded and Fortune 500 companies.